A big part of what makes Pugs so cute is all their wrinkles! 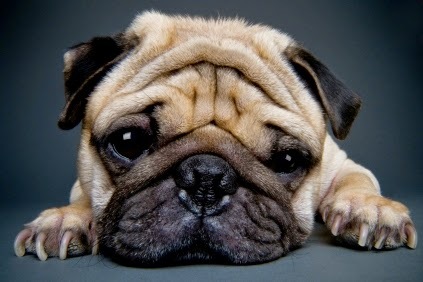 After all, a Pug without wrinkles would be, well it would be a different breed. From its curvy little tail all the way to the tip of its pushed in nose, the Pug is a pretty unique dog. That doesn't come as any surprise, especially when you consider that over the years the Pug has been bred to look exactly the way it does. All this uniqueness requires a bit of unique care in order to keep your Pug healthy, happy and smelling good. But what about those wrinkles? Well they're mostly located around the Pug's forehead and nose. And since the Pug's face is rather flat, their wrinkles are regularly face-to-face with dirt, dog food and everything else a Pug gets into. And not only that, some Pug wrinkles are pretty deep which means it can get hot and sweaty (and foul-smelling!) in between those folds. Their depth combined with their location means that daily (or at least weekly) proper care of a Pug's wrinkles is crucial. Just like their human counterparts, the folds of skin can trap dirt and debris and the biggest culprit - moisture. Allow these three to linger longer than they should and the end result might be the formation of big, open sores that'll soon become infected. These sores are troublesome and that's why it's much easier to prevent them from developing in the first place. And that's where proper care comes into play. What's involved in cleaning and caring for your Pug's wrinkles? A bit of time and effort is really all it takes. You don't need to go out and purchase any costly supplies and it's not something your vet has to do. All you do is take a clean, slightly moistened washcloth or a soft tissue and gently wipe the area in between the folds of skin. The main goal is to clear away food, dirt, and excess moisture. Use your fingers to help spread the folds of skin apart so that you're able to get inside the folds where you can thoroughly clean every bit of skin. While wiping, be on the lookout for areas that have crusted over. If you find any, you may need to moisten the tissue or washcloth more to help loosen the crusty spot. Once loosened, be sure to wipe whatever is there away completely. Some people prefer to use baby wipes when cleaning a Pug's wrinkles. They're soft and slightly moist and they can be tossed in the trash when through. This is fine, but be sure to use a brand that is hypo-allergenic. 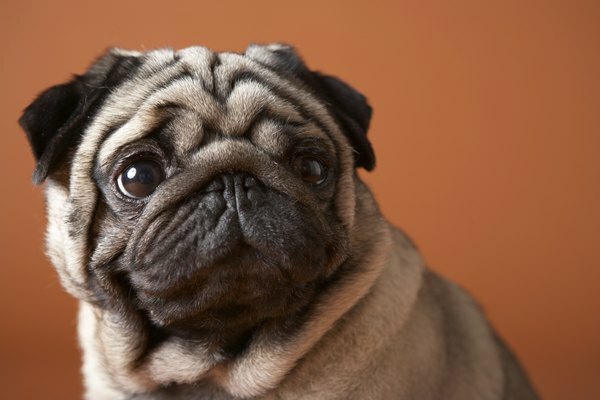 Regardless of what you use to wipe away dirt, moisture and debris from a Pug's wrinkles, you always want to be sure that the areas you cleaned are dried thoroughly. Otherwise, all you'll have accomplished is adding more moisture into the troublesome mix which defeats the whole purpose of cleaning the Pug's wrinkles! Pug Feeding Chart – How Much Should a Pug Eat?